WASHINGTON — As Russian lawyer Natalia Veselnitskaya tells it, she met with Donald Trump Jr. and other Trump aides in New York last summer to press her case against a widely accepted account of Russian malfeasance, one that underpins a set of sanctions against Russians. It's a cause Veselnitskaya has been pursuing for years. So, too, has Rinat Akhmetshin, the colorful Russian-born American lobbyist she brought with her to Trump Tower. Trump Jr., who agreed to the June 2016 meeting at the request of a Russian business associate with a promise of dirt on Hillary Clinton, has said he didn't find much to interest him in the presentation. And little wonder: The subject is a dense and tangled web, hinging on a complex case that led Congress to pass what is known as the Magnitsky Act. The law imposed sanctions on individual Russians accused of human rights violations. It has nothing to do with Clinton. The Trump Tower meeting has become the latest flashpoint in the ongoing investigation into whether the Trump campaign coordinated with Russia's election interference. The topic of the meeting, many observers have said, is almost beside the point. But the substance of what the pair of Russian advocates say they came to discuss has a fascinating backstory. It's an epic international dispute — one that has pitted the grandson of a former American Communist who made a fortune as a capitalist in Russia against a Russian leader who pines for the glory days of his country's Communist past. In a cinematic twist, one person on the side advocated by Vladimir Putin, Veselnitskaya and Akhmetshin is a former American newspaper reporter turned investigator named Glenn Simpson. He is the same Glenn Simpson whose firm, Fusion GPS, helped craft the controversial dossier alleging that the Trump campaign colluded with Russian intelligence. That dossier, published by Buzzfeed, made other, more salacious allegations about Trump, and FBI Director James Comey briefed the Republican about it before he took office. The dossier is not favorable to Putin and the Russian government. Simpson's role on both sides of the Putin divide is set to be explored in a Senate Judiciary Committee hearing Wednesday examining the Justice Department's requirements for foreign lobbying disclosures. Due to testify at the hearing is Simpson's longtime opponent in the Magnitsky dispute, William Browder, an American-born hedge-fund investor who made millions investing in post-Soviet Russia and gave up his U.S. citizenship in 1997. Simpson's lawyer said he would defy a subpoena to appear Wednesday because he was on vacation, and that he would decline to answer questions anyway, citing his right against self-incrimination. Browder, whose grandfather Earl led the American Communist Party, accuses Simpson of peddling falsehoods as an agent of the Russian government. The law firm Simpson worked with on the case accused Browder in court papers of perpetrating a web of lies. Both men dispute the allegations. The story begins with the November 2009 death of Sergei Magnitsky, a Russian tax accountant who was working for Browder, and who later died in prison. Browder's account of Magnitsky's death triggered international outrage. According to Browder, Magnitsky was a lawyer who had been investigating a theft of $230 million in tax rebates paid to Browder's companies in Russia. Browder says his companies had been taken over illegally and without his knowledge by corrupt Russian officials. Browder says Magnitsky was arrested as a reprisal by those same corrupt officials, and then was tortured and beaten to death. Browder presented documents suggesting that some officials who benefited from the alleged fraud purchased property abroad. That account led Congress to pass the so-called Magnitsky Act in 2012, imposing sanctions on the Russian officials who were alleged to have violated Magnitsky's human rights. The Russian government soon imposed a ban on American adoptions of Russian children, ostensibly for other reasons but done in response, many experts say, to the Magnitsky sanctions. Forty-four Russians are currently on the Magnitsky sanctions list maintained by the U.S. Treasury Department, meaning their U.S. assets are frozen and they are not allowed to travel to the U.S.
Once a Putin supporter, Browder became one of the Russian leader's most ardent foes, spearheading a campaign to draw international attention to the Magnitsky case. He and his employees at Hermitage Capital Management presented information to governments, international bodies and major news organizations. Sergei Magnitsky pictured when working for Hermitage Capital Management. 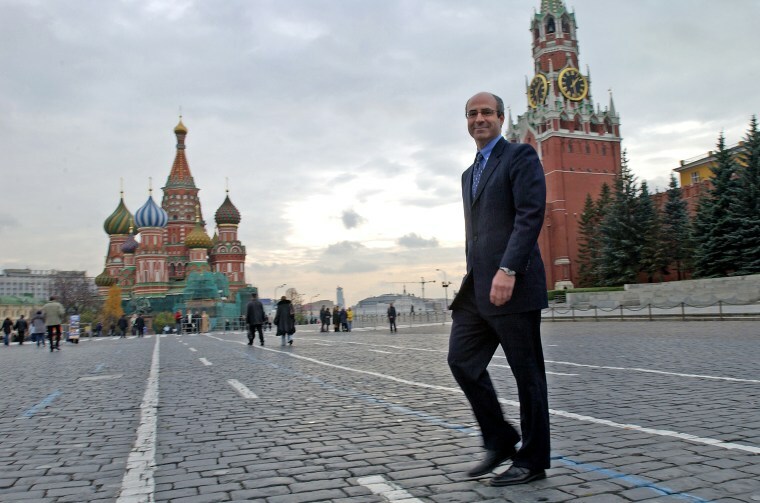 Browder's advocacy marks a shift from 2004, when, as one of Russia's leading foreign investors, he praised Putin so vigorously that he was labeled Putin's "chief cheerleader" by an analyst in a Washington Post article. Browder has said that Magnitsky's death spurred him to reexamine his view of Putin. The State Department, lawmakers of both parties and the Western news media have described the Magnitsky case in a way that tracks closely with Browder's account. Browder's assertions are consistent with the West's understanding of the Putin government — an authoritarian regime that has been widely and credibly accused of murdering journalists and political opponents. In 2013, the Manhattan U.S. attorney's office sued a Russian company, accusing it of laundering some of the proceeds of the fraud Magnitsky allegedly uncovered. The complaint incorporated Browder's account about what happened to Magnitsky. That lawsuit set in motion a process through which that version of events would come under challenge. The defendant, a company called Prevezon, is owned by Denis Katsyv, who became wealthy while his father was vice governor and transport minister for the Moscow region, according to published reports. The father, Pyotr Katsyv, is now vice president of the state-run Russian Railways. Veselnitskaya has long represented the family. 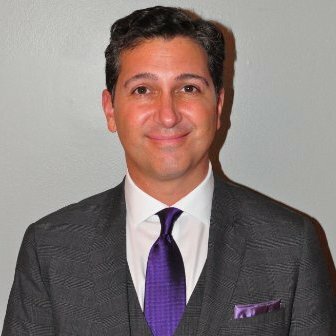 Prevezon hired a law firm, BakerHostetler, and a team that included a longtime New York prosecutor, John Moscow. Also working on Prevezon's behalf were Simpson, Veselnitskaya and Akhmetshin. Simpson, a former investigative reporter for the Wall Street Journal, declined to comment. Simpson also worked with former British intelligence officer Christopher Steele in the creation of the dossier that asserts Trump collusion with Russian election interference. A source close to him said his work on the dossier was kept confidential from his other clients. The federal civil lawsuit by the Manhattan U.S. attorney against Prevezon was the first opportunity for the U.S. government to publicly present whatever evidence it had to support its legal assertions regarding Magnitsky. It was also an opportunity for the defendants to conduct their own investigation. Prevezon's American legal team alleged that Browder's story was full of holes — and that the U.S. and other governments had relied on Browder's version without checking it. Browder and the U.S. government disagreed. The chief American investigator, Todd Hyman of the Department of Homeland Security, testified in a deposition that much of the evidence in the government's complaint came from Browder and his associates. He also said the government had been unable to independently investigate some of Browder's claims. In court documents, Prevezon's lawyers alleged that Magnitsky was jailed not because he was a truth-seeker — but because he was helping Browder's companies in tax evasion. The Prevezon attorneys charged that Browder "lied," and "manipulated" evidence to cover up his own tax fraud. The story was "contrived and skillfully sold by William F. Browder to politicians here and abroad to thwart his arrest for a tax fraud conviction in Russia," says a 2015 federal court filing by one of Prevezon's lawyers, Mark Cymrot of BakerHostetler. A Russian-born filmmaker named Andrei Nekrasov made a similar set of arguments in a docudrama released last year. Neither Prevezon nor the Russian government had a role in funding or making the film, both parties say, though Veselnitskaya and Akhmetshin helped promote it. Nekrasov, who has a history of making films critical of Putin, says it was funded by Arte, a French and German television channel, and the Finnish and Norwegian film institutes, among other European entities. Nekrasov says he set out to make a documentary celebrating Magnitsky and Browder, which he says explains why Browder granted him interviews. But he reversed course. His film accuses Browder of misstating the contents of Russian court documents. "Magnitsky didn't expose any crimes," Nekrasov told NBC News. "The police did not imprison Magnitsky to make him withdraw some accusations. And they did not murder him." In a sworn deposition, and in written statements to NBC News, Browder vehemently disputed his critics. He called their allegations "a calculated and callous attempt to harm and discredit me," and "an offensive lie motivated by the desire of accused Russian money launderers to avoid facing justice in the U.S."
In July 2016, Browder filed a complaint with the U.S. Justice Department, alleging that Prevezon and Simpson were engaged in an illegal lobbying campaign in violation of the Foreign Agents Registration Act. It's unclear whether the complaint has prompted enforcement action. Browder also campaigned against the Nekrasov film, even as Veselnitskaya was lobbying on its behalf. A showing that had been scheduled before the European Parliament was cancelled at the last minute after Browder's lawyers threatened legal action. Ultimately, the film was shown at the Newseum, a museum of the news media in downtown Washington. A handful of activists hooted and jeered. Related: Did Trump, Kushner, Sessions Have an Undisclosed Meeting with Russian? BakerHostetler was disqualified from the case in October 2016 because attorney John Moscow had originally represented Browder's investment company for nine months, creating what an appeals court deemed a conflict of interest. Prevezon got new lawyers. But the dispute never got to trial. Prevezon settled the lawsuit in May — with no admission of wrongdoing — by agreeing to pay $6 million. The U.S. government originally sought to freeze $20 million of company assets. Both sides claimed victory. Thus, the competing claims were never adjudicated — and they remain difficult to sort through. They hinge on interpretations of various Russian court and police records from many years ago, a span of time and language that can cloud the picture for Western observers. The judge in the federal case did rule this year, however, that a well-publicized 2013 report on the Magnitsky case, by the Council of Europe, was "unreliable" because it didn't fairly examine both sides. "One of the events that may have colored the investigation from the outset is William Browder's interference with the assembly's work," the judge, William H. Pauley III, said during a May 3, 2017 hearing. One aspect of the case that has been examined independently is Browder's contention that Magnitsky was beaten with rubber batons just before his death by eight guards for more than an hour. For example, Browder said on MSNBC on February 5, 2015: "Eight riot guards with rubber batons beat him for an hour and 18 minutes until he died." The lawyers and the filmmaker argue there is little evidence to support that. It's an important point, because Browder's contention is that Magnitsky was murdered to silence him. Those challenging Browder say Magnitsky died of medical neglect under circumstances sadly typical of a Russian jail. In an email to NBC News, Browder cited as evidence Magnitsky's death certificate, which mentions a "closed (head) injury," followed by a question mark. But an English translation of the certificate (posted on the web by Browder) lists the cause of death as "toxic shock syndrome and acute cardiovascular collapse." It adds, "No signs of a violent death detected." Two Russian organizations examined Magnitsky's treatment in prison. A December 2009 report by Russia's Public Oversight Commission for Human Rights — a Russian non-governmental organization that monitors human rights conditions in detention facilities — makes no mention of beatings, and says Magnitsky died after a lack of medical attention exacerbated by harsh jail conditions. A second report in 2011, by the Presidential Council for Human Rights, titled "Preliminary Conclusion of the working group on the study of circumstances of Sergey Magnitsky's death," says he was deprived of medical care, and that "there is reasonable suspicion to believe that the death was triggered by beating." However, the head of the presidential council's working group, Kirill Kabanov, said in a 2015 court affidavit that he no longer stands by that and other conclusions in the report, which he said were preliminary. In a sworn affidavit given to Prevezon's lawyers and filed in U.S. district court, Kabanov said some of the report's conclusions were "copied verbatim" from documents submitted by Browder and his associates. In a telephone interview last year with NBC News, Kabanov said, "The results of official forensic expertise that used original biological materials showed no evidence of beatings." Asked to respond, Browder said Kabanov's current remarks "are in direct contradiction to the 2011 Presidential Human Rights Council Report" and other evidence, which Browder says prove that Magnitsky was severely beaten. "The fact that Kabanov by 2015-2016 has completely changed his mind and gone as far as to recant his own written and public statements from 2011 destroys his credibility to make any comments on this case," Browder said in an email. In 2010, Browder asked the U.S. group Physicians for Human Rights to examine all the available medical evidence in Magnitsky's death, including the photos that Browder says prove Magnitsky was beaten to death. The resulting 2011 reportcites evidence of medical neglect and inhumane prison conditions, but it does not mention beating. In an interview with NBC News, Dr. Robert Bux, the El Paso County, Colorado coroner who led the review, said the available information suggested Magnitsky died of a septic shock — an infection. Bux said that while he could not rule out that Magnitsky had been beaten at some point, he did not see evidence that Magnitsky was beaten to death. "We didn't have everything" investigators would like to have to reach a conclusion, he said, but "I didn't have anything that substantiates that claim. In the limited photos that I saw, I didn't see any evidence of that." In an email, Browder pointed to photos of Magnitsky's body, showing bruises on his hands and left knee. And he noted that Magnitsky's mother, Natalia Magnitskaya, has asked the Russian government to investigate what she believes was a murder. "The evidence is overwhelming" that Magnitsky was beaten to death, Browder said on July 14 on MSNBC. "We have pictures of his beaten body, we have doctors' reports from their own Kremlin doctors."